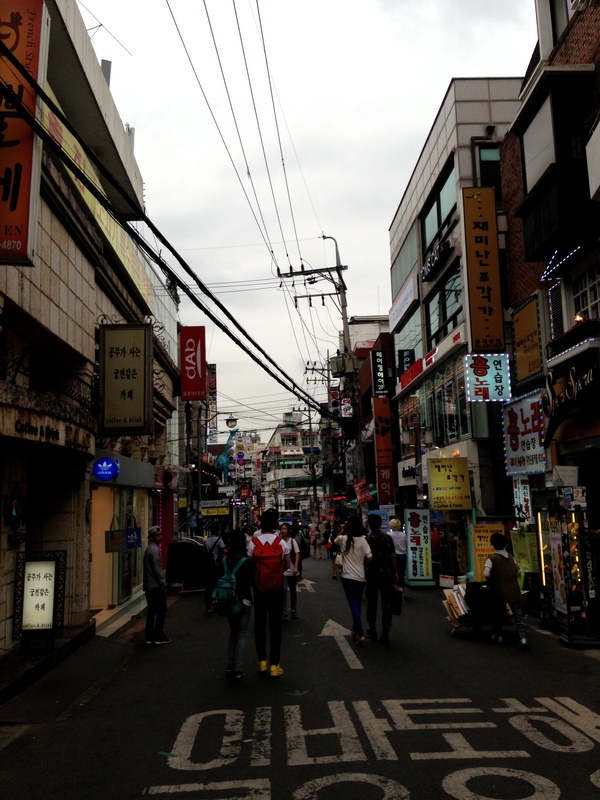 In September 2013 I returned to South Korea for the first time since I was born to search for my birth parents. I didn’t want to forget anything, so I recorded scenes throughout my trip on my phone. I’ve worked in radio and sound for a few years, so all of this was merely gathering atmosphere for, something. I didn’t know what at the time, but there was a vaguely creative project lurking in the back of my mind. Distorted Kpop blasting through the speakers of stores in Seoul. The eerie meditative music in Busan’s Haedongyonggung Temple. Loud dinners. 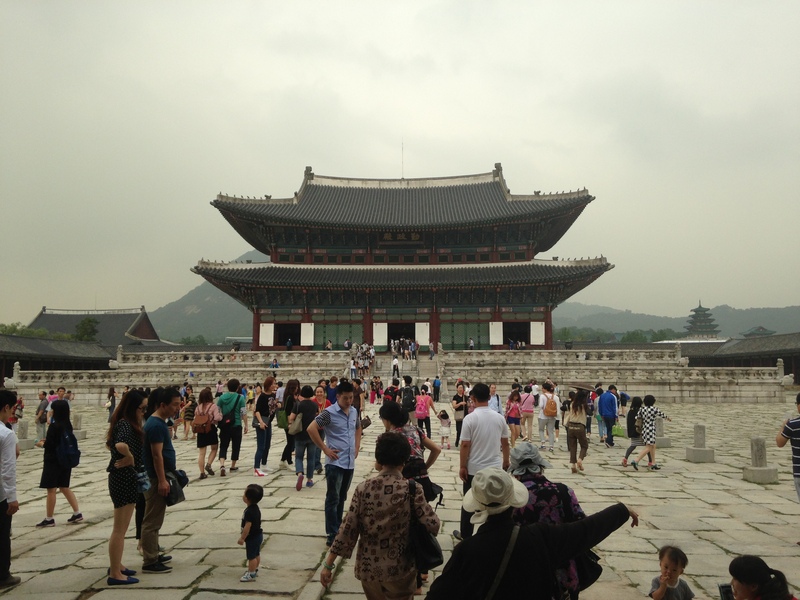 The changing of the guard ceremony at Gyeongbokgung Palace. The funny dramatic fanfare music that the Seoul subway plays before the train arrives. As my family search went deeper, so did my recordings. There was the conversation with an adoption agency social worker telling me that part of my adoption file was fabricated and that I have 4 biological sisters. And there was the first conversation I ever had with my birth mother, who blurted out the real story of my birth and about the family I never knew. I came back to Australia completely rattled. How do you go back to normal life after all of that? I was an emotional mess. My friends and family were supportive, but they didn’t really understand. So I started talking to other adoptees. I joined two Facebook groups – one is an international Korean Adoptee group and another is just for adoptees in Australia. It’s the only way I’ve been able to meet other adoptees. We’re a minority within a minority spread out across the world. My story wasn’t rare. Almost every adoptee I knew who had found their family also uncovered lies and secrets about their adoption. In fact, another adoptee from Brisbane who came on the trip with me had an almost identical experience – a fake story about her adoption, found her parents and discovered two blood siblings. I learned that fabricating adoptee stories was quite common in order to legitimise an adoptee’s orphan status and to hide some darker secrets about their birth families. I was shocked. I couldn’t understand why I didn’t know about this before – and why didn’t anyone else? The adoptee community is very supportive. We understand things like feeling awkward around other Asians because most of us can’t speak Korean and don’t know much about Korean culture. Then there’s the racism in our adoptive countries, and the trauma that comes from family search and reunion. We are not all friends, but we understand each other. More stories about adoptees came out after my reunion. A rapper from the US, Dan Matthews, went back to Korea to reunite with his parents, a sister and a long-lost twin. He filmed a documentary, talking candidly about the confusing thoughts racing through his mind as he connected with his identical Korean twin brother. Maybe he made it for the same reasons I made all those recordings in Korea. Two identical girls – one in France and another in the USA – realised they were both born in Busan and had the same birthday. The self-proclaimed “Twinsters” got a DNA test to confirm that they were identical twins. Loads of blogs sprang up as more adoptees documented the search for their families. I started reading an online magazine called Land of Gazillion Adoptees which publishes writing by adoptees and adoptee parents of all races. A few months later, I attended the Community Broadcasting Association Australia’s National Conference in Sydney. The Community Media Training Organisation was holding a National Documentary and Features competition. Suddenly I knew what to do with those recordings. When I tell people I’m adopted, I get the same set of questions. Do you speak Korean? (I was 4 months old when I came to Australia and my adoptive parents don’t speak Korean – so, no). Do you know your “real parents”? Have you ever searched? Will you search? Have you been to Korea? I gave the same responses every time. But then my answers changed after the reunion. Then there were more. What was it like meeting your parents? What did your adoptive family think? So in June 2014, I set out to create my documentary to answer all of these questions about my increasingly unusual life – and that of about 200,000 other international Korean adoptees around the world. I interviewed my new adoptee friends around Australia about our experiences to see how we compared. They are adoptees who have never been to Korea. Adoptees who have never searched. Adoptees who have moved to Korea semi-permanently and are determined to become fluent in their birth family’s language. Adoptees who have searched and found nothing, or things that they didn’t want to know. I interviewed my own adoptive Australian mother, who alternately sobbed and giggled while talking about what it’s like to adopt. I interviewed some adoptee academics who are fighting for a better future for Koreans and adoptees. One of the Australian girls, Hana, is currently trying to start an Australia-wide adoptee network group to provide information and support to Australian Korean adoptees. And then came the time to listen back to those recordings I made nine months earlier. It took me weeks of listening, crying and stopping the recordings before I could start editing. I missed my family. I didn’t know when I’d see my Umma again – the sound of her voice, wracked with emotion as she talked about what happened 26 years ago, was painful to listen to. At around the time when I had finished recording and interviewing and was in the editing stage, I found out some big news – my application to work in Korea as an English teacher had been approved! And then it wasn’t so hard to edit Umma’s voice, because I was going to see her in Seoul the following week. After weeks of feverishly editing, programming, fiddling and mixing, my documentary became available online and on community radio with little fanfare. My documentary didn’t change the world. But I did receive a few private messages from adoptees. Some I knew and some I didn’t know. Just to say “thank you”. An unexpected message came from an American English teacher I know in Korea who explained that her mother was adopted: another “thank you”. Then I realised why I made this documentary. I stitched all those words and sounds together to make sense of an experience that leaves many people feeling lonely, confused and emotions they can’t even define. So even if only one person found solace in my documentary, then making it was worth it. With thanks to the Community Media Training Organisation and the Community Broadcasting Association of Australia for making this possible.